Arlene M. Vanderburg, 88, a longtime Pleasant Grove and Stewartville,MN area resident died on Thursday (March 28, 2019) of natural causes at Mayo Clinic – Rochester Methodist Campus, where she had been a patient for the past week. Arlene M. Harris was born on May 14, 1930 in Rochester, Minnesota to Nelsen and Floy (Brown) Harris. She grew up in Rochester and graduated from Rochester H.S.in 1948. 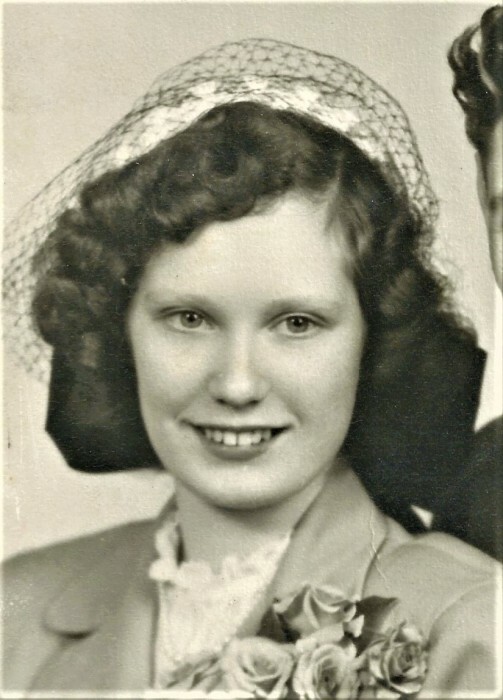 Arlene was married on April 25, 1949 at the Methodist Church in Rochester, to Robert F. Vanderburg. Following their marriage, the couple lived in Rochester until 1958 when they moved to Pleasant Grove, by then they had 2 children – Shari and Bruce. In 1962, another son was born Brian. Arlene was a homemaker and was employed at the Worrel Hospital, Stevenson’s and Donaldson’s Dept. Stores and Greenway Coop, all in Rochester. Mr. Vanderburg was employed by Thompson-Yeager Co. and Brogan Heating and Air Conditioning in Rochester, Minnesota. The couple moved to Stewartville in 2003 where they have continued to make their home. Mr. Vanderburg died on December 31, 2011. Arlene loved her garden, her flowers, reading romance books and going to the Casino, especially with her sister Violet. She always enjoyed time spent with her family, especially her grandsons. She will be missed very much by her family and friends. 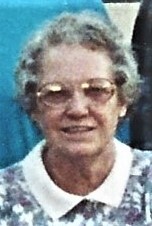 Arlene is survived by her 1 daughter and 2 sons – Shari (Virgil) Elliott of Rochester, MN; Bruce Vanderburg of rural Chatfield, MN and Brian Vanderburg of Stewartville; 2 grandsons – Jason Elliott and Bradley Elliott; her sister –Violet Brownlow of Rochester and sister-in-law - Betty Harris of Rochester and nieces and nephews. She was preceded in death by her husband – Robert, her parents, her brother – Donald Harris and brother-in-law – Roger Brownlow.